Easy to use and organised wardrobes make life easier for everyone but, as we a ge, the key activities of daily living may become more challenging (feeding, dressing, bathing), so we need to set ourselves up to make these activities as easy as possible, so a well organised wardrobe is a must. It is important to understand that we have lived longer and for many our wardrobes will have many items from our past (often which we have strong emotional connections to) which can make it harder to let items go. Ideally your wardrobe should have 80% of what you currently wear (what I call “Functional”), the remaining 20% can be “Favourites” – clothes that we love or are associated with wonderful memories. If 80/20 is too challenging, aim for 70/30 or even 60/40, it’s better than 20/80. Statistics show that we only wear about 20%-30% of what is in our wardrobes! I get calls from clients in their 80’s whose clothes are all around their room or piled on beds or chairs. Their wardrobes are full of clothes (and shoes) they haven’t worn in years. It’s not easy letting go of clothes that are still in good condition or have great memories, but you need to focus on what is important (i.e. making dressing each day easy) and not leave them in your wardrobe too long as they may deteriorate and then no longer be able to be used by someone else! If you have clothes that are lying around your bedroom, these are probably the clothes you are wearing regularly. It is hard to tidy up, when you have no room to put items away. Don’t be tempted to start stuffing these clothes into your wardrobe. You need to start with looking at what’s in your wardrobe and making room for your current clothes. Remember, your wardrobe needs to make getting dressed each day as easy as possible. How many old clothes have you set aside for gardening or doing chores? Realistically how many do you need? As you make room in your wardrobe, you can start hanging up the clothes lying around your room – you now have space for the clothes you are currently using. Make it smell great – I love the old fashioned lavender bags and luckily I have an abundance of them as I harvest the lavender from my garden. 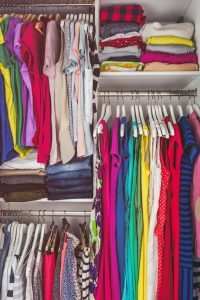 Once your bedroom wardrobe is organised, think about whether you have other bedroom wardrobes with your clothes in them!!! 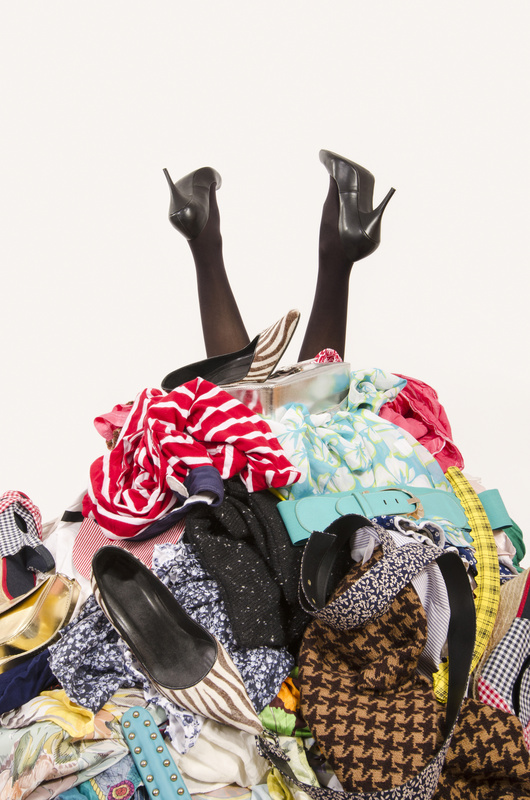 Importantly, while you are decluttering, stop buying new clothes!! !